Experts Richard H. Toland, Ph.D., P.E. Richard H. Toland, Ph.D., P.E., has 45 years of civil and structural engineering experience. Dr. Toland is a member of many respected professional organizations, including Sigma Xi, Chi Epsilon, the American Society of Mechanical Engineers, the American Society of Civil Engineers, and the Engineers Club of Philadelphia. Dr. Toland is a former member of the American Concrete Institute, ASTM International, and the Foundation for Architecture. 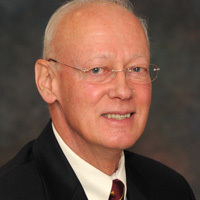 Dr. Toland has authored, published, or presented 36 papers in his career. Subjects include reliability of structural systems, strength and failure characteristics of composite materials, design with composite materials, impact dynamics, and ultimate strength capacity of nuclear structures. He is a licensed professional engineer in Utah and Pennsylvania. Dr. Toland earned his Bachelors, Masters and Doctorate degrees from the University of Delaware. Dr. Toland’s career includes the Delaware State Highway Department, the National Bureau of Standards in Washington, D.C., Hercules Incorporated, Drexel University as Assistant Professor and, the Lawrence Livermore National Laboratory in Livermore, California. From 1978 through 1999, he held positions of increasing responsibility at United Engineers & Constructors/Raytheon Engineers & Constructors attaining the role of Vice President of Engineering for Raytheon Infrastructure. Dr. Toland was a Senior Project Manager for Day and Zimmerman International and Palmetto Management & Engineering in Delaware, where he was responsible for engineering, procurement and construction support of national and international projects including The Peoples Republic of China.